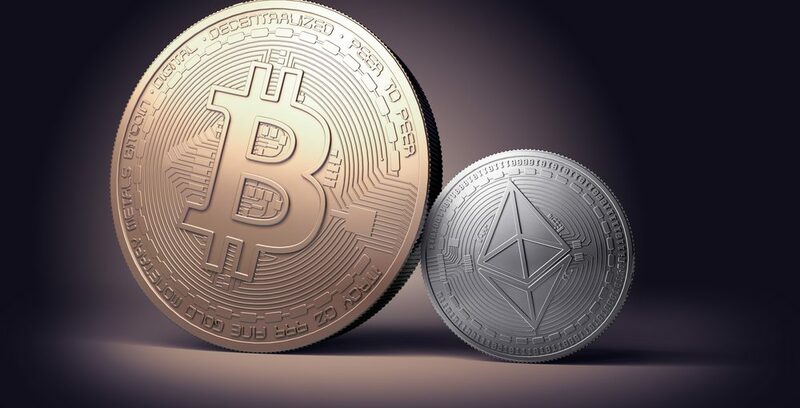 Although people endeavor to differentiate them as coins, Bitcoin and Ethereum are actually two different protocols, one of its many uses or purposes being the exchange of goods and services as currency. Bitcoins (฿) and ethers (Ξ) can be used as currency, have software or web wallets, use is registered in a chain of blocks, comply with double spending rule, and they can’t go back to the transactions made. With this and many other more features we deduce, they can be used perfectly to pay, buy or as a store of value. It means that each one has special characteristics to carry out the communications and checks between its similar ones in the network, different from the ones that we use habitually. Both use PoW (Proof of Work) in their checks. This allows the transfer of value directly between the participants of a transaction without having to rely on any central trust organization, whether banks or any other financial institution, forcing the work to be moderately difficult (but feasible) by The client side, but easy to verify by the server side. As a curiosity we will say that there are other types of work such as the RePool Proof-of-Work System (PoPo) (Proof-of-Stake). Both protocols have a main network of use, and a testnet for tests. One characteristic that the crypto coin possess is their division of the whole part into decimals. While Bitcoin currently uses 8 decimals, Ethereum can use 18 decimals. Special nomenclatures: 100 satoshis equals 1 “bit”. Compared to our usual currency of payment, we could buy a loaf of bread in the future for, for example, 100 micro satoshis or 10 szabos, which would be equivalent to the cents of our current currency of use according to the change. Without entering into technical details, Bitcoin uses the SHA-256d algorithm and Ethereum uses EtHash. These algorithms are those that mark the security strength to cryptographic levels, which ensure us by their complexity, high combinatorial possibilities that guarantee such security. The time required for a block to be confirmed and validated by a miner and added to the block chain varies in Bitcoin around 10 minutes (600 seconds) and in 16 seconds in Ethereum, approximately. As a curiosity to say, that in Ethereum initially was 60 seconds, modifying its protocol to reduce to 16. While in Ethereum the prize is 5 ethers steadily, Bitcoin uses a decreasing system in which the initial prize (50 bitcoin) is divided every 4 years approximately (exactly every 210,000 blocks) receiving this award Adjustment action by the name of Halving. Currently the prize is at 25, and will be reduced this summer in the middle (12.5). In Bitcoin a maximum of 21 million coins will be generated, whereas in Ethereum no limit has been established, being then an inflationary system unlike the Bitcoin that is a deflationary system. One of the characteristics that differentiates Ethereum is that it recalculates the difficulty of the whole network every 1 block (every 16 seconds approximately), unlike the 2016 blocks that Bitcoin takes to inform the whole Network of new value. Currently the levels of difficulty increase over time, because the more devices are added to the network to perform the tests of mine, the greater the difficulty. A block contains all new transactions made since the last mined and confirmed block. In the case of bitcoin this would be all new transactions made during the last approximately 10 minutes, and in Ethereum for the last 14-16 seconds. A transaction contains basic information data, measured in bytes, and the sum of all of them add up to the size of a block, which in Bitcoin is currently limited to 1 Mb (1048576 bytes), while in Ethereum it has not been defined. Although any device is capable of performing the mining tasks, they may become obsolete and unusable at the level of calculations if the difficulty increases considerably. At present, specialized devices are exclusively created to perform the Bitcoin mining tasks (ASICs), whereas in Ethereum only devices with a CPU (computers, Smartphones, tablets) or GPU (graphics cards) can be made. Also note that in bitcoin there are companies and gigantic centers specialized only in mining, while for now, in Ethereum, is still starting with small pools of GPU. For a transaction to be considered, it is required that a certain number of nodes connected to the network accept it and verify it to be added later to a block. In order for a block to be consolidated in the block chain, a minimum number of blocks confirmed after the transaction is included. In the case of Bitcoin is a minimum of 6 and in Ether is 50. Bitcoin: 2008 WhitePaper, 03-01-2009 software and 1st block. Ethereum: 2013 WhitePaper, 07-30-2015 software and 1st block. Nodes are those that, because of their full node or connection node characteristics, make the previous confirmations of a transaction being added in a block to be mined. For the same temporary reason, there are more people and companies that have active Bitcoin nodes, the difference at this time being quite large regarding Ethereum. In bitcoin we find 483,756 addresses used, although the number of addresses created is greater, in Ethereum only has so far 127,000 approximately. While in bitcoin we have a daily peak of 276,448, in Ethereum only has a maximum of 39,000. The exchanges, exchanges of crypto coin by currencies fiat, are created based on Bitcoin, adding progressively other “alt coins”. So naturally, we will say that the vast majority have the ability to convert bitcoins to other currencies, while little by little, they are incorporating ethers to their conversion possibilities. In the time difference, Ethereum gets very close to Bitcoin, since these times Ethereum is the second currency with the highest circulating capital in relation to the amount of coins issued to date (about 600 million euros for Ethereum, having surpassed at some point the 1000 million, compared to the 6500 million euros of Bitcoin). The value of a crypto coin, depends on many factors, mainly of the adoption and its usability, and lately Ethereum is obtaining the latter more firmly. This feature is unique in Ethereum, although in Bitcoin can also be made contract types (time stamping for example) but not with the characteristics that Ethereum possesses. Currently, approximately 8400 contracts have been created. The contracts carry a mark called “token”, which identifies the unique characteristic of the contract. The contracts with their “token” allow, among other possibilities, to create different currencies to ether, absorb them, block them and endless options yet to be experimented (see “colored coins”). Allows programming of cyclic type. Is the limited use of ether currency for the management of contracts. (Greedy Heaviest Observed Subtree) used to limit the orphaned or incorrect blocks and to be able to choose the chain of blocks accepted by the majority. In mining, Ethereum uses Uncles nodes as more reliable, on which the rest of mining nodes are connected. These nodes have management preference to add a block to the block chain as correct discarding possible “forks” in the chain. The EtHash protocol based on PoW work system, needs a large amount of data on clients as memory cache to be shared with other nodes (approximately 1.5 Gb). This amount of data is called DAG, and is generated in each client and every 50,000 blocks.